The European Ecolabel (EU Flower) has the mission to encourage cleaner production and influence consumers to promote Europe’s transition to a circular economy. Nonetheless, little is known about EU Ecolabel evolution; it is not clear what the drivers that encourage its implementation are. Thus, this study aims to assess the growing acceptance of the EU Ecolabel in the European Union, and Spain more specifically, by examining product and service categories and geographical regions. 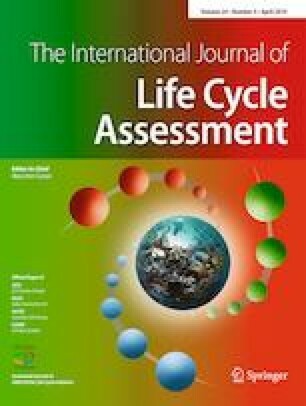 The methodological approach taken in this study is a mixed methodology based on the triangulation method by consulting the EU Ecolabel scheme database, EU Ecolabel delegates from some autonomous regions, and the academic literature. Also, a geographic analysis was run in the ArcGIS Software with data about the accumulation of licenses assigned in 2016. The analysis shows that most products in Spain that have been awarded the EU Ecolabel belong to the following categories: Do-It-Yourself Products (paint and varnish), Paper Products, Cleaning Up Products, and Electronic Equipment. At the same time, the study showed that this ecolabel faces significant obstacles in its diffusion, such as the competition with environmental labels launched previously in Europe and other regional labels. The results of this study indicate the existence of five drivers that may encourage the implementation of EU Flower in a region: (1) public management, (2) communication strategy, (3) sustainable public procurement criteria, (4) local income per capita, and (5) international trade incentives. Finally, this study provides essential recommendations for policymakers to trigger ecolabeling practices such as the need to improve the understanding of the EU ecolabel impact in different levels of activity, which means countries, regions, industrial clusters, firms, and consumers. Also, this investigation identifies areas for further research, and it expresses the need to develop business case studies about ecolabeling with the objective to visualize this phenomenon as an eco-innovation process. The online version of this article ( https://doi.org/10.1007/s11367-019-01611-z) contains supplementary material, which is available to authorized users. This research is part of the EcoPyme project, which has been sponsored by the Spanish National Program for Fostering Excellence in Scientific and Technical Research and The European Regional Development Fund: DPI2015-70832-R (MINECO/FEDER). Likewise, this investigation is part of the project “Implementation of the circular economy in the industrial sector located in the province of Sabana Centro and its surroundings” (EICEA 117 2018) which is funded by University of La Sabana, Colombia. Moreover, the authors would like to thank the EU Ecolabel Help Desk, the Spanish Ministry for the Ecological Transition, and the regional EU Ecolabel offices for their help with data collection.